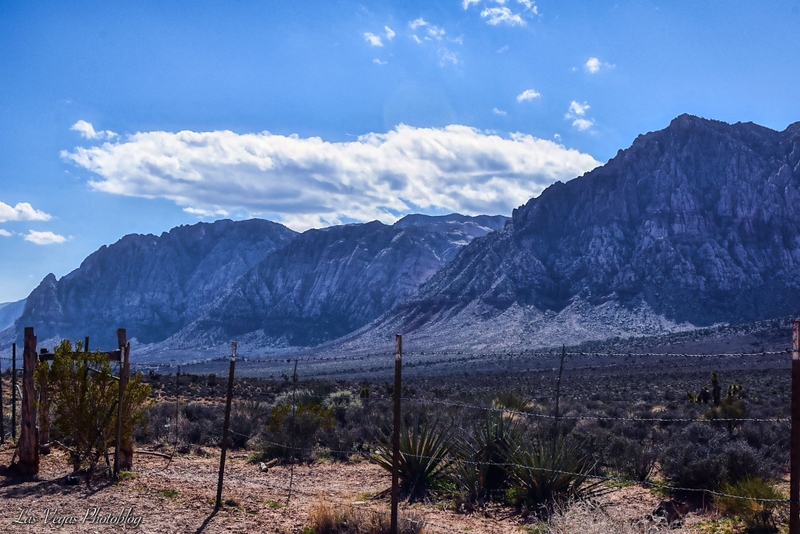 This gorgeous view is located just south of Red Rock Canyon proper and is actually a fault line referred to as the Red Rock Escarpment by some. Feel free to correct me if I am wrong of course. Any time you are dealing with mountains, you’ve got fault lines somewhere nearby. I’d much rather live here among beautiful mountains than where hurricanes randomly destroy people’s lives. That’s just one guy’s opinion… Click the photo. That looks like a mirage with water or clouds at the bottom. Nope, I hardly know where any of your places are at except over by the Strip areas.